Architectural practice formed between Hugh (1828-92) and David Barclay (1856-1917), the sons of monumental sculptor Hugh Barclay; the eldest brother trained under William Spence and later taught James Sellars . Hugh Barclay initially formed a brief partnership with Alexander Watt in 1856, as Barclay & Watt, at 136 Buchanan Street, until 1860, when the firm was dissolved. Their most notable buildings were 60-66 Jamaica Street (1856-7, dem. 1994), one of the earliest cast-iron buildings in Glasgow, and Ewing Place Church, Waterloo Street (1858, dem. 1959). Barclay then practiced on his own until 1871, when he entered into partnership with his brother and pupil, David, as H & D Barclay, at 112 West Regent Street. David Barclay had been an apprentice and assistant since 1861. Working mainly in Italianate and classical idioms, they became highly influential school designers and produced commercial, domestic and ecclesiastical buildings. Hugh is regarded as the better designer of the pair and, although the quality of the firm's designs shows a marked decline after his death, his brother's subsequent output includes some buildings of merit: e.g., his German Renaissance Crown Tea Room, 106-114 Argyle Street (1895); the Central Thread Agency, Bothwell Street (1891-1901); and the James Watt Memorial School, Greenock (1908). 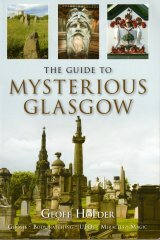 David Barclay was also responsible for the colossal Glasgow and West of Scotland Technical College (now University of Strathclyde's Royal College Building) in George Street, which numbered R Ferris amongst its teaching staff, Benno Schotz amongst its students, and J H Mackinnon (working for J Young ) amongst the carvers who worked on its facades. Barclay was also a member of the college's Board of Governors (1901-5). The Barclays exhibited many of their designs at the RGIFA , 1876-1911, and RSA , 1894-1905, including their competition winning Greenock Town Hall, of 1879-86 ( RGIFA (1891), cat: 785) and the unsuccessful Design for Kelvingrove Art Gallery ( RGIFA (1894), cat: 870). Hugh Barclay died at his home, 6 Buckingham Street, on 25 November 1892, and David died at his home, at Levantille, 437 Crow Road, Jordanhill, on 13 July 1917. Both are buried in the Western Necropolis. The firm remained in the family under the same name, until 1942.